By using SEO on website,It helps to get a huge numbers of relevant website traffic. SEO helps you to get listed in top 10 position in major result in search engine, like Google,yahoo,Bing, MSN. That's why performing seo is very important to your website. HTML code,link structure.Optimizing resources are images,page title,link,sitemaps,keywords. So,you have to improve your content quality and keywords.Meta tag also very important in on page optimization.Therefore you have to use proper meta tag for your website.You can use title ta and alt tag for better seo. submission,Classifieds submission,business directory submission,Forum posting,social media optimization.social bookmarking submission,email marketing,Search engine submissions, guest posting, blog commenting and article submission. These are some of Link building strategies.So, if you can do this properly it will cover the off page SEO well. Actually, Long term for SEO, Off page optimization is very important.it helps to drive more traffic to your website. 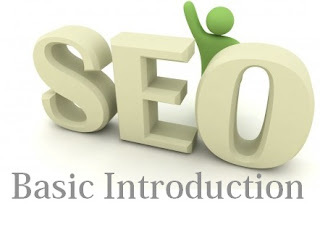 SEO is very important part for website business.There have lot of campaign for it.I think you got the basic idea of seo and how it works and what beneficent you will get.I hope to write more about to related to SEO.That's why i stared with basic introduction. Keep in touch.Good luck. Hi there. Really both on page and off page matters a lot. But now off page is more important. Thanks for your article ..
really like your tip about making On page SEO and Off Page SEO. Off Page SEO is doing things off site to improve your sites search engine rankings. Your this post is very nice for me. I have use this all information for my website. I need some suggestion from you. Please go to my website and provide me best solutions of any type.